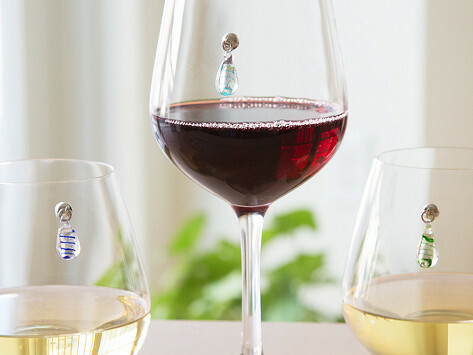 These stemless wine glass charms keep track of drinks—whether the glass they’re in has a stem or not. The sparkly charms stay put thanks to strong magnets that work on just about any kind of glasses—like pint or wine—and even work with plastic cups, too. Dimensions: 0.5" diameter x 0.5"
I gave these charms to all my friends for Christmas, they loved them! I have also used them as a bit of bling on a blouse or sweater! 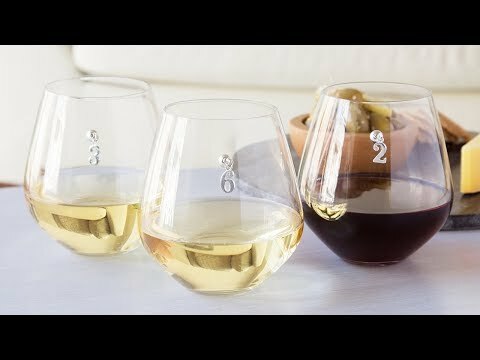 Why should stemmed wine glasses have all the fun? With stemless wine glass charms, it’s easy to keep track of drinks. And the Made in the USA charms from Going Stemless work with just about any type of glass—and even plastic cups. Friends Deanna Victor and Cathy Passant created their charms as a stemless solution that also provides a pinch of sparkle. A super-strong neodymium magnet keeps the charm firmly in place on wine, pint, and other drinking glasses. The charm stays put while you’re drinking, and helps you keep tabs on your beverage, stem or not.